Check out this new article on PastaPresta, from Fairfield Green Food Guide, your local and sustainable food destination! 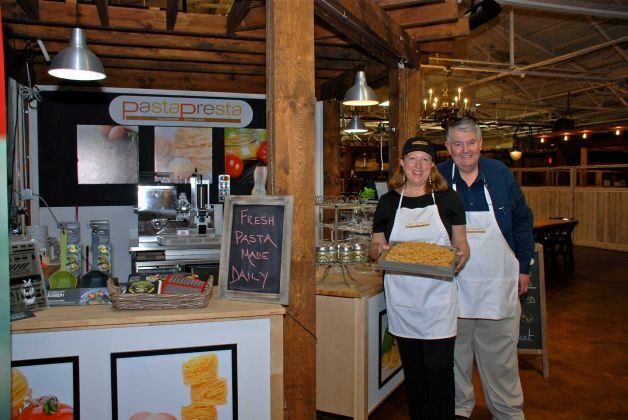 New Article on PastaPresta from New Canaan News Online! 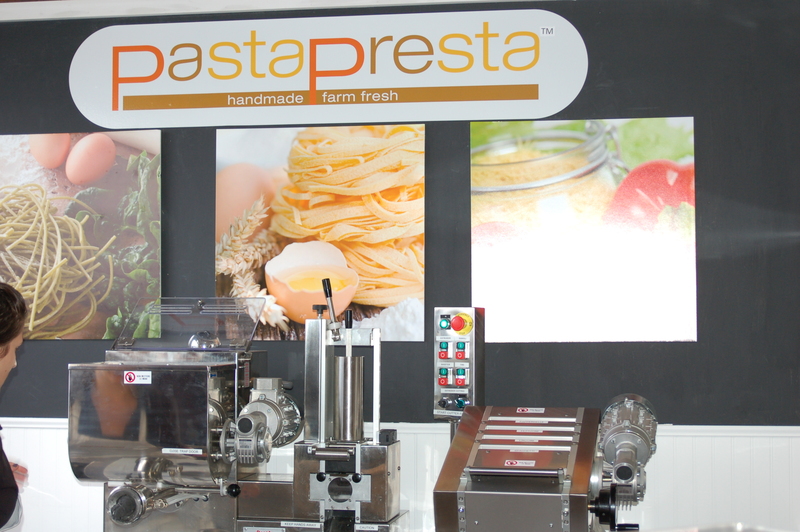 A great write-up of PastaPresta as well as some nice photos! Click here to read the article. 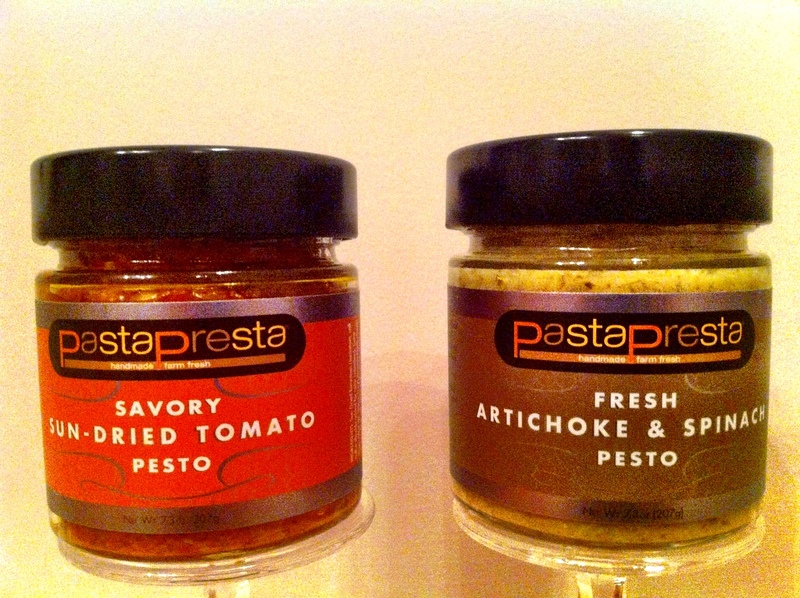 New this week: Fresh Herb Pasta & Private Label Pestos! This weekend, PastaPresta will feature a fresh herb-farm fresh egg combo that spells FLAVOR. 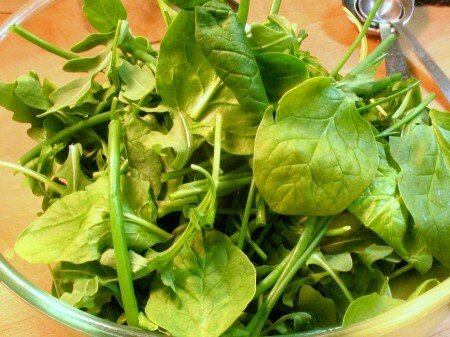 We’re adding Basil, Parsley, Arugula, Spinach and Spring Greens from farms in the Hudson Valley to our golden egg pasta. Available as no-boil lasagna sheets or custom cut before your eyes into Spaghetti, Linguini, Fettuccine or Papardelle. The farm produce that adds a delicate flavor to our pasta, is hand-picked at its peak when it is bursting with flavor and nutrients as fresh as they would be if you harvested them from your own garden. Add some garden tomatoes, zucchini, garlic and olive oil and you’ve got the perfect summer supper. Or pair your fresh herb pasta with our new PastaPresta Private Label Pestos–Sun Dried Tomato or Spinach and Artichoke, made in Maine in small batch, handcrafted preparation with all-natural ingredients. This week’s special pasta flavor – Tomatillo! This week’s special flavor pasta is Tomatillo. Tomatillos are a common ingredient in Mexican cooking. Thin, papery husks cover small, round, shiny green vegetables that are often mistaken for green tomatoes in supermarkets and produce stands. 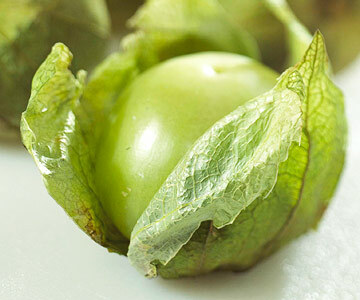 Tomatillos have a delightfully citrusy, acidic flavor that is commonly used in salsas and sauces – as in chile verde. The vegetables are not related to tomatoes but are members of the nightshade vegetable family that also includes eggplant and potatoes. It is said that Tomatillos date back to the time of the Aztecs as they are depicted in ancient drawings. Enjoy this special and unusual pasta ! 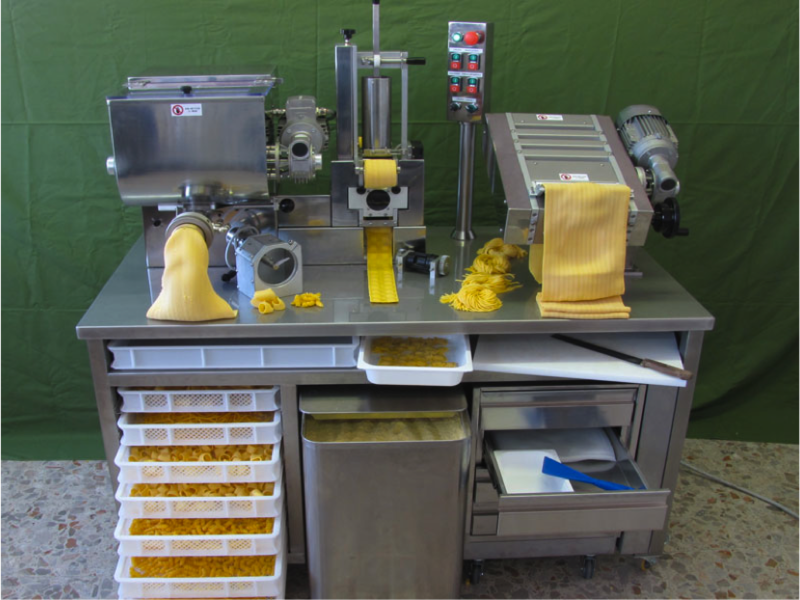 Check out this video of us cutting some fresh pasta sheets using our brand new Pastation machine! New this week: our Pastation Machine! First in the United States, our Pastation machine arrives this week! For more info on our new machine, click here. 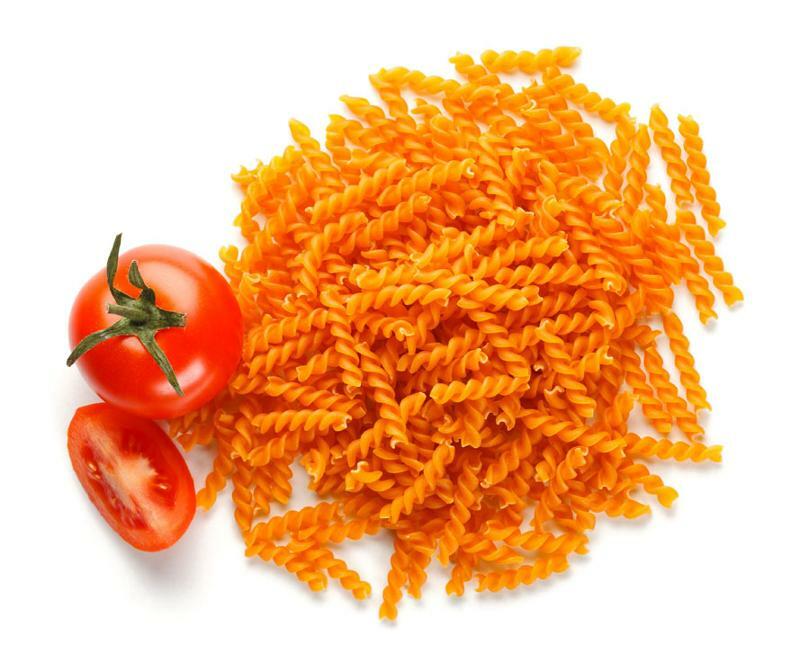 This week we are offering Heirloom Tomato pasta as our special flavor of the week. What does it mean to say something is an heirloom? Vegetables are sometimes referred to as “heirloom” or “heirloom variety.” An heirloom variety is any type of plant, or cultivar, that was grown in earlier times, before large-scale agriculture. Why the current fascination with (and love of !) Heirloom vegetables ? Wider Variety. When you have access to plants that were grown by previous generations, you also get to experience the thrill of having a huge variety of plants available to you (one famous seed catalog offers 77 types of tomato seeds alone !). Better Flavor. In many cases, hybridizers have chosen properties like disease resistance and heavy yields over flavor. Fans of heirlooms will argue that many of the best tasting crops come from heirloom plants. Bio-genetic Diversity. Plant species are dying out at an alarming weight. Heirloom gardeners, through growing and saving seeds of treasured crops, are ensuring that these plants won’t become extinct. In addition, keeping diversity in our food chain protects us against large plagues or crop failures. Frugality. Growing heirlooms is a frugal way to have a bountiful garden. Each season, you can grow the crop, harvest the food, save the seeds, and store them to grow next year’s garden. If you save a lot of seed, you can even get involved in seed exchanges with other heirloom gardeners to get more diversity in your garden. Growing heirlooms is a fun, educational experience that every organic gardener can try. Just don’t be surprised if you become hooked on heirlooms!